takes an unexpected turn when the government is threatened and his expertise are needed once again. Morrison (“Bill Buchanan”), Carlo Rota (“Morris O’Brian”) and Elisha Cuthbert (“Kim Bauer”), new faces emerge including comedian-actress Janeane Garofalo (The Truth About Cats & Dogs, Ratatouille) and two-time Tony Award-winner Cherry Jones, as the first female President of the United States. BLU-RAY: Presented in 16:9 widescreen with 5.1 DTS HD Master Audio and includes English, French and Spanish subtitles. 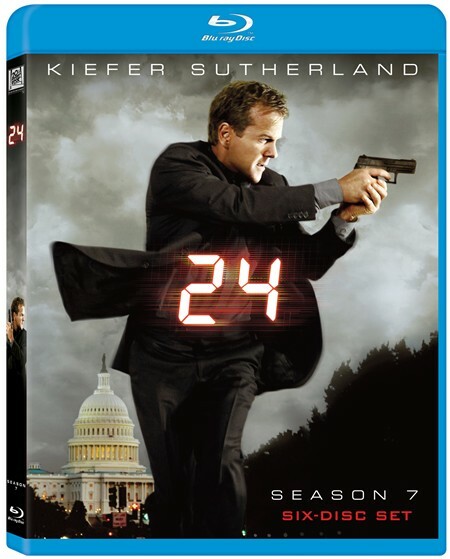 24 SEASON SEVEN is packed with all new bonus loaded with special features including deleted scenes, commentaries and featurettes.